We are looking for a Deputy Room Leader to join our team of passionate, enthusiastic Early Years practitioners. We are a small setting, taking 26 children from age 2 to 5. We are open from 07:30 to 18:30, all year round. As Deputy Manager you would be expected to work either an early or late shift each day and to cover for the Manager during annual leave. A small family run nursery in the heart of the North Somerset Countryside are looking for a Room leader or Deputy to join their established experience nursery team. The nursery is based in a converted house, offering enclosed gardens for the children to access throughout the day. Being in the heart of the countryside there are plenty of walks and local shops for the children to visit too. 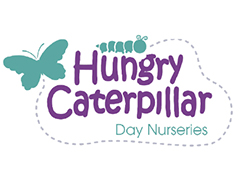 You would be joining a dedicated team, who love passionate practitioners who want you to bring new ideas to the setting, work with the team to help nurture and grow the nursery so that they can be the best that they can be. There is free parking available and the nursery is on a bus route. Local shops are just across the road from the nursery for lunch or just a snack!